As people have become more tech savvy, businesses have to embrace technology that helps them reach their target market. Increased use of smart phones and tablets has led to development of mobile apps. No doubt, Mobile apps have put business operations into the hands of consumers and it allows user to browse through and place orders from the convenience of their handheld devices. Mobile app consumers are said to expect 5 star experience and immediate response. If your app doesn’t perform to their expectation they will just find another that works, so all you need to do is mobile app testing. Mobile application testing is the foremost thing every app should undergo before they become available to the public. To make sure the application works perfect you must do comprehensive testing and ensure that your mobile app meets customer expectations and business goals. 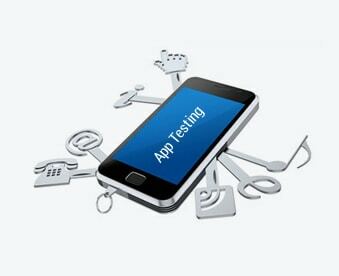 Mobile app testing is too complex as Mobile app testers have to test functionality, usability and consistency of the app across wide range of handheld devices and models, wireless carriers, OS, browsers and location. Application stability on incoming / outgoing calls & stress/recovery from failures. Actually, testing a single application across multiple devices running on the same platform and different platform poses unique challenges for testers. Understanding these challenges and developing test strategies that overcome them is the need of the hour. Mobile app testers at ANGLER do test the app for best results. Functional Testing – To ensures that the application is working as per the requirements. Most of the test conducted for this is driven by the user interface and call flows. Performance Testing – This testing process is to verify the performance and behavior of the application under certain conditions such as low battery, bad network coverage, low available memory, simultaneous access to application’s server by several users and other conditions. Performance of an application can be affected from two sides: application’s server side and client’s side. Memory Leakage Testing – Memory leakage happens when a computer program or application is unable to manage the memory it is allocated resulting in poor performance of the application and the overall slowdown of the system. As mobile devices have significant constraints of available memory, memory leakage testing is crucial for the proper functioning of an application. Interrupt Testing – An application while functioning may face several interruptions like incoming calls or network coverage outage and recovery. We have experience & resources who worked on more challenging and rewarding projects. If you need our first rate support service outsources your Mobile App Testing projects & free up your team so as to focus on your core works.